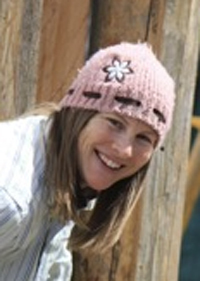 Laurie Ann Wertich passed away on Friday, May 9, at the age of 41 in the beautiful Boulder Mountains of Ketchum, Idaho. Laurie was born on Nov. 20, 1972, to Barbara and Hal Wertich in Lake Bluff, Illinois. She grew up between there, Colorado and Florida. Laurie studied English at University of Colorado, and then pursued a master’s of education from Whitworth University in Spokane, Wash. Laurie’s later adventures took her to Boise and back to Boulder, but she always returned to Ketchum, the place that she called home. Laurie was a born seeker, always reading, meditating, listening, journaling and experiencing all that life offered. Strangers and friends alike were blessed by the depth of her heart and the wisdom she’d gained in her searching. Laurie was amazing with children, including those of her friends, and those she taught as an elementary school teacher. Her work also included inspiring, comforting and teaching others through yoga, Pilates and spin classes, and the words she could so eloquently craft as a writer and editor. Rain, snow or shine, Laurie’s heart was most open and her smile most wide when she was on a trail, in the trees, or next to a river, with a cup of hot tea in her hands. She appreciated all things beautiful, simple and authentic. She loved dark chocolate, green smoothies, chia seeds, and her homemade almond milk. She loved deep, meaningful discussions with others, and delighted us all with her hearty, infectious laugh. Words friends use to describe her include: sensitive, spiritual, fierce, compassionate, loving, thoughtful, spunky, generous, clever, insightful, sincere, boundless and beloved—a peaceful warrior. In a picture of Pooh and Piglet walking down a trail hand in hand, Pooh tells Piglet, “If there ever comes a day when we can’t be together, keep me in your heart, I’ll stay there forever.” Laurie, your family and friends have been blessed by your life. We already miss you dearly, but are so grateful to have you in our hearts forever. In honor of Laurie’s generous spirit, on Wednesday, May 21, at 11 a.m., Ketchum-area residents are gathering at Velocio to have a “Random Acts of Kindness” power hour. Bring one ROK to perform. Those not nearby are encouraged to participate wherever you are. If you can, please capture the act on video and send to whitneymcnees@gmail.com with details of where and when it was performed (see Laurie set the example at http://vimeo.com/44076162). Services are being held on Wednesday, May 21, at 1 p.m. at the Light on the Mountain Center for Spiritual Living near Ketchum, Idaho. Please carpool. Services are being streamed live and will be archived at http://lightonthemountains.org.